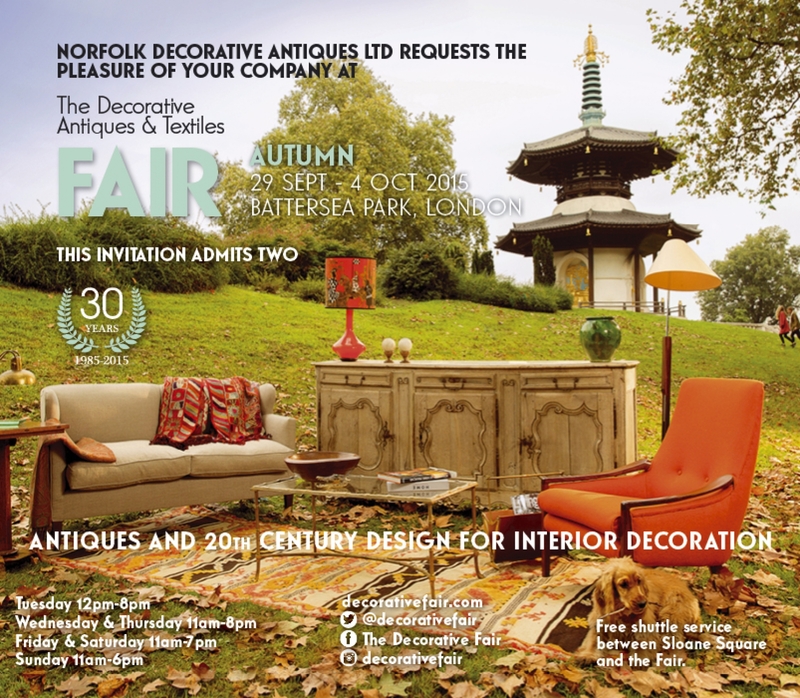 We are hugely looking forward to being at The Decorative Antiques & Textiles Fair at Battersea Park from 29 September – 4 October. It’s one of the unmissable dates in the antiques calendar, and a superb opportunity to see some fantastic lighting, furniture and decorative pieces from around the world under one roof. Both interiors professionals and keen collectors – along with a few famous faces, most years – come together to peruse what’s on show and, of course, take away some truly desirable items for their homes or projects. We have a particular fondness for The Decorative Antiques & Textiles Fair as we get to meet up with so many friends and colleagues in such a great setting – we hope you will join us too. Simply print the invitation on the right and come along and discover something beautiful for your home.